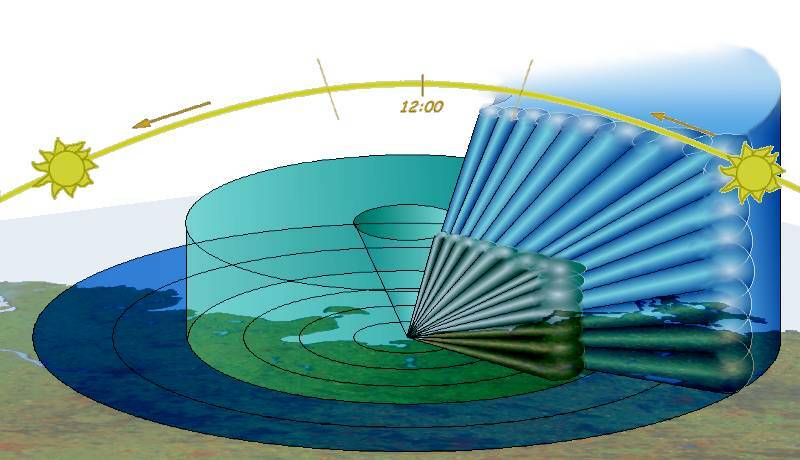 The vertical antenna pattern of a radar antenna can be measured with help of the sun radiation. The sun radiates not only the visible light. The sun radiation rather consists of a very wide spectrum of electric magnetic radiation. Only a small part of this is visibly for our eyes. On reason of its chaotic emergence processes this radiation is noise-modulated with an unknown value, however, with a statistically relatively constant amplitude in the time period looked at. Every radar receiver can receive this noise independently of the receiving frequency. In the direction of the sun it forms a narrow sector increasing brightness of the background noise on the screen. 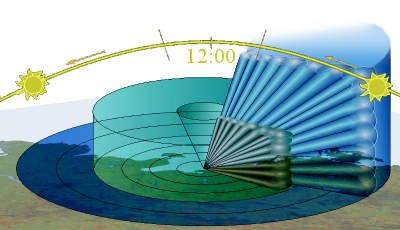 The sun passes all elevation angles of the radar antenna during the sunrise and sundown. In the past, the vertical antenna diagram e.g. by the russian radar P-18 („Spoon Rest”) still was taken by an extensive measuring series from begin of the sunrise until this time in which the sun has reached a larger elevation as about 15...20° manually. These measuring series are run through computer-assisted measuring set (RASS-S Tool) automatically today. This measuring set is installed in the afternoon, with help of the GPS satellites states the correct location and the correct time and has determined the sector therefore automatically, in which the sun-noise will be expected. 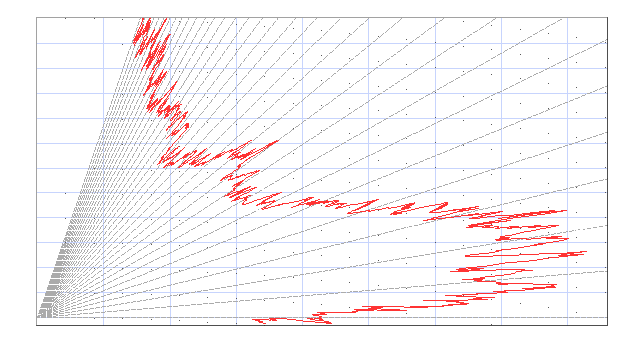 The noise amplitude is recorded both by the sundown and by the sunrise up to the next morning. 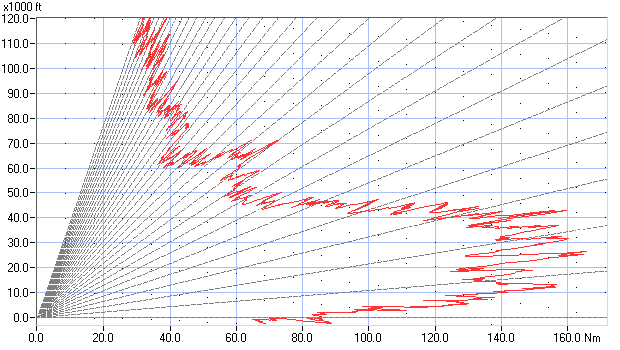 These measured results of every antenna rotation are compared with each other and represented in the evaluation as a vertical antenna pattern diagram.